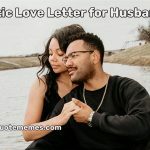 Best Marriage Proposal lines- Romantic Marriage Proposal Message-are beautiful collections of romantic words to help you pass your marriage proposal message to the heart of your lover with little effort and much ease. 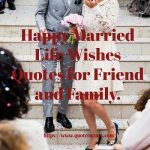 The most memorable time in any relationship is the hour when she said yes to your marriage proposal; it is a period of deep emotion and expression of unfettered love for one another. Doing this in style is what leaves a sweet memory difficult to erase in the heart of your partner. 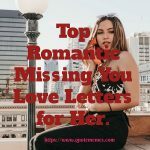 Apart from finding a beautiful location and timing for this lovely marriage proposal, it is very important to have in mind the sweetest proposal lines to make your words romanticized in her heart. 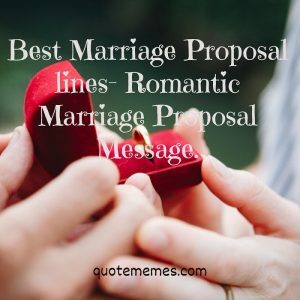 Look down and get some beautiful ideas for such Best marriage proposal lines/Romantic marriage proposal message. Dearest, you mean everything to me; I have seen every reason to make me fall in love with you. You have been a wonderful girl to me ever since the time that I have known you, and I think spending the rest of my life with you will be a very marvelous idea. I promise to take very good care of you, you will never regret every moment you will spend with me, and that is why I’m going down on my knees now to ask you, would you marry me? I have always thanked God and my star for meeting a wonderful girl like you; you have always been sources of joy and happiness in my life. I want to you to be my special girl, I want us to take our relationship to the next level, I want to spend the rest of life in your arms, please would you marry me? 3. You are the only one I have loved so much…. Dear love, you have always been the woman of my heart ever before this beautiful relationship with you. I have always seen you in my dreams several times even before I met you; you are the only one I have loved so much. You make everything beautiful when you are around, every moment I spent with you is like I’m in paradise on earth, I want to live closer to your heart for the rest of our life, I want you to be wife and the lovely mother our children to be, my sweet love, would you marry me? I have thought about it several times, of how our life would be beautiful if we can spend it together forever. I have realized that you truly the girl that is made for me, and I’m also the man that is made for you. We are both compatible with each other, every moment I have spent with you are the best moment of my life, I never that an angel like you still exist in this world. I promise to be there for you every single moment of your life, I will be by side. However, right now all that I’m asking you is a beautiful token of my heart, would you marry? I have always asked God for a special girl, and God brought you my way, you are the girl of my dream, we are made to be together. I have uncountable reasons to make me decide that I really want to settle down with you and they are too numerous to start counting them right now. All I ever want from you right now is to ask you, would you be my wife? My heart has always been filled with joy ever since I met you, you are my dreams come true, I never thought that I would meet a wonderful girl like you. I will be the happiest man in the world if I can spend the rest of my life in your heart. I promise to make every moment a memorable one for you, please marry me. I have searched every nook and cranny of the world for a special wife and I have found everything that I have ever needed in a woman, in you. I want to be the man that would put smiles on your face every single day. I will love you beyond what your mind can comprehend; I want you to be my wife. Would you marry me, please? Dearest, never be afraid to spend tomorrow with me, I have vowed I will take good care of you no matter what happens. My love belongs to you, you are the joy of my heart, and loving you comes naturally to my heart. I feel that this the right time to let you how much I love, deeply feel that we should take our love life to the next level, I want you to be my wife, would you marry me? The first time I met you, I know that I have found a girl of my life; I know that I would be spending eternity in your arms. You are so lovely and beautiful; thank God that I found you. I want to confess that I have never seen someone as wonderful as you are in my entire life, you bring joy and blessing to my life, and I feel great to be in your life, I want you to stay with me forever, please be my wife. Today will be one of the most memorable days in my life; I’m short of words because if I have to start from the beginning we will be here for several hours. All I wanted now and while I brought you to this beautiful place is to go down on my knees before you and I ask you for one big beautiful favor, would be my wife? The world is tighter without you in it with me, and whenever you are around it looks so spacious, I want to share my space in this world with you, I want us to live together as husband and wife. It is so easy to love and care for you, you make everything beautiful ever since the time you came along, I want to be the smile on your smile and the joy in your heart forever, I want to be your lovely husband, will you marry me? Give me a chance into your life and I will always be the one that you can count on all the time, I will do everything is possible to make you happy. I can never be tired of given you all that I have, I love you. Your love shines like the bright light of a moon in my heart and glitters like the stars as well. When the sun shines every morning, it reminds me of your beautiful smile, I want to hold your hands in mine forever, be my wife. Nights are beautiful when I have you by my side, days are wonderful when I can see your face every morning, you are the joy of my soul and I want to be with you as far as my Lord had permitted, I love you so much. It gives me special joy and happiness to be held in your world forever, I can’t imagine a world without you. You make everything beautiful in my life, I want you to feel joyful all the moment of your life too, be my wife and I will be your super husband, I love you. Spending a lifetime with an angel like you is the most desirable feelings that I have ever felt, I looked deep into a beautiful future with you. I will always cherish every moment with you, will you marry me? I don’t want to be like a fish out of water every time I get to miss you. If I allow another man take you away, that would mean a suicidal to me, you know I love you so much and I would always make you happy, spend your life with me and I will love and cherish you forever. Our life will be splendid if we spend it in each other’s arms, we have had so many beautiful times together, and the most beautiful moments are yet to come. No one can love you the way I do, will you marry me. It is by divine provinces that we should be together; you are always on my mind wherever I go. I have seen that we can’t live without each other, our life is shaped by our common destiny, I love you so much. If God flooded my heart with so much love, all would be yours, and you are my dreams come true, I promise to be your sweetest harmony forever, I love you. There can be only you as my wife; will you marry me? It is not always easy to find someone you would want to spend the rest of your life with, and that someone is you, I cherish you so much, I love you. When I looked into your eyes, I see my paradise; I have kept for you eternal bliss in my heart. will you marry me? You make feel so good all the time that I have known you; you are always special to me. My life was a broken wing when I first met you, but your arrival in my life has mended all the pain in my heart. I feel like spending eternity in your arms, that will the most beautiful idea, I will be the man of your dream, I will never let you down, and never would I cause you any pain, all that I ever want from you right now is to say, yes! Yes! To my beautiful proposal, would you please marry me? I may not have told you this before now, my life is incomplete without you. You came into my life and everything became beautiful, I can’t imagine a life without you, which is why I’m asking you to marry me, would you marry me? It was like a dream come true when I found you, I have searched the entire width and breadth of the world looking for an angel to be my eternal wife, then I found you, marry me I would never cause you pain, I would make your stay in this world a joyful and memorable one. Would you then marry me? I have vowed to love you forever, make my dream come true by staying with me forever, I can’t imagine growing old in another woman’s arms, it is you that I want, I want to live with you forever, would you marry me? Today is going to be the most beautiful day in my life, if only you will say yes to my request. I have been with you for some years now, and have found out that there is no one that can take your place in my heart, you mean everything to me. It would be a great delight if we can proceed to make a beautiful future together, and my proposal to you is, would you please marry me? I know that it is not always easy in life, but with you, by my side, I will achieve anything. You have always been my sources of inspiration and happiness, your words of encouragement had always given me greater support and care that I needed to achieve much in life. Our life will be greater together; would you be my lovely wife? You are just too perfect for me, there is something wonderful about you that have always turn me on each time that I think about you, you are so nice, simple and beautiful, thank you for coming into my life at the appropriate time. Now I want something beautiful from you, would you marry me? I’m sorry that I have never told you about this plan, I invited some few families and friends here to make this moment memorable, and because I love you and I’m proud of you any time and anywhere. You have been a lovely and caring girl to me for so long, and I think I should seal your love in my heart forever, would you marry me? When I looked into your eyes I can see deeper, a beautiful and brighter future together, we will be perfect as husband and wife. I’m on my knees, and asking you to be my wife, would you marry me? Nothing else makes me happy except you, I promise I will always make you happy too and I will always be there for you. However, one thing I want from you now is to be my wife, would you marry me? Life offers many challenges, but I know I will scale through all hurdles of life if I have a wonderful woman like you by my side, you have always been a source of joy and inspiration to my life. I want to spend the whole of my life, would you marry me? Dearest, you have been the most beautiful and caring girl I have ever crossed, there can be only yes answer to the question that I want to ask you now, and would you marry me? Beloved, from this moment onward my heart shall be your playground and my hands, shall be your warmth and your comfort station, I will always love you forever, please be my wife. 38. Be my wife, you know how much I love you…. 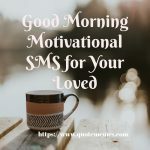 I have been living for this beautiful day, I have been fantasizing the day that I will ask you to be mine forever, I want you to be my one and only sweetheart, be my wife, you know how much I love you, and I will love you more. I know there will be a tough time and that is part of life, but if we stay together, we will overcome every hurdle in life. I can’t hold back the joy in my heart as I know you wouldn’t turn me down from the favor I’m going to seek from you now, would you marry me? Dearest, I’ll give you all my love, I’ll make your life joyful, I’ll always be there for you all the time. I will share all moment with you in tenderness and in peace, please be my wife. I promise to take care of you, you will find me whenever you need me, I am here to make your life a blissful experience, you will never regret saying yes to my proposal today, will you marry me? I want to marry you because our life will be happy together; I could not be living in this world without you. You are the joy of my heart, in your heart, I will find a place to call home, be my wife I love with all my heart. I will be an ingrate if I don’t hold you in my heart forever, you are the sweetest thing that has ever happen to me, and the only way that I can compensate you for your unconditional love and kindness is to be with you forever, please marry me? I just look into your eyes and I discovered my world is there, my love for you will always blossom forever, I want you to be my joy forever, please marry me. 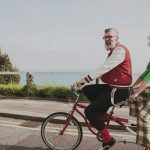 Sweetheart, I want you to grow old with me, the best is yet to come, be my eternal wife. My happiness is in your heart, and yours is my heart, I will always love and cherish you forever, please be my wife. The weather is clear and beautiful today because nature is happy with us, you are so down to earth, my sweetness of all time, I want to take you to the next level in my heart, and I want you to be my wife, please marry me. I promise you, I will love you all the time of my life, no one would be able to love you more than I do, marry me. Of all the women in the world, my heart chooses to be with you forever, you are my special gift from heaven above, please be my wife. I have to listen to the silent song of my heart, deep inside me I love you so much, I can never allow anything hurt you, I will seek God’s protection for you all the time, would you marry me? I will always be your sweetheart, my love for you will never go sour, I will hold your hands in mine forever, please my wife for life, I love you. I have dreamed of a lovely girl like you long ago before I met you, and the very first day I set my eyes on you, I knew immediately you were the one I saw in my dreams, I want you to remain with me forever, please marry me. I cherish every second I spent with you, you make me happy the way I cannot explain, I want to be your superman, the one that will bring you endless joy, laughter, and eternal peace, I want to marry you, would you be my wife? I existed because of you, I would be nothing if I don’t have you in my arms forever, I would be your lovely husband, please marry me. Let me assure you today that your love in my heart gets stronger, you deserve every good thing in life, marry me so that I can have the full opportunity to take good care of you. I never knew that I was chasing shadow all through my life until I found you, you make every good thing possible in my life, I want to be beside you to make every one of your dreams come true, will you marry me? I would give you a better place in my heart that you can call home, I would treat you like an egg and I would never let you break, I would make every moment I spend with you a memorable one, I want to be the man that would blow your heart with endless love, would you marry me. I promise to make your life beautiful experience, you will never regret agreeing to my request today, will you be my lovely wife? Dearest, I can’t guarantee you that every moment will be fine, but I can assure you that my love for you will never change, as I love you today, so will I love you forever, be my wife. I have always visualized a better future for us, we will make a memorable life together, be my eternal bliss, be my wife. My sweetheart all that I have ever wanted and cherished is a chance to prove my love for you, would you be my wife? 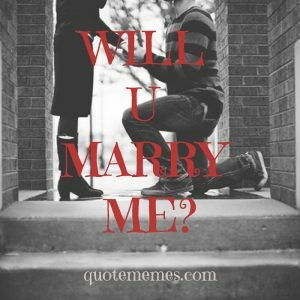 There is no moment as lovely and scary as this moment, I don’t want you to say no to my proposal, but a ‘yes’ answer, sweetheart will you marry me? Every time I smile, it is because I’m thinking about you, you always left a sweet memory in my heart, I wish to spend the whole of my life with you, please marry me, I love you. I dream of a beautiful home where you will be called a Mom and I will be called a Dad, I want you to be my wife, so that I don’t have to heartbroken forever, I truly love you and I will take care of you, will you marry me? Dearest, it is beautiful to be at this spot with you today, I want to always come back here with you in the future, will you marry me? The future is beautiful for us, I have seen that we have a common goal and a common destiny, I love you so much and I promise to be a shoulder that you can lean on any time. Will you be my wife? The Lord is kind to me by given me a marvelous woman like you, you are so sweet and lovely. You make me believe that true love still existed and I have found the joy of my life in you. 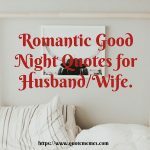 I want to be the man that would be the last to wish you good night and the first that would whisper good morning to your ear, I want to spend the rest of my life with you. Will you marry me? 69. My dear Semolina, life has been joyous for me for the few periods that I have known you, and I’m sure that you feel the same way too, there is no need to pretend about our feelings. I have discovered that we can make a great family together, so that is why I’m asking you to be my wife, please marry me. I’m deeply attracted to you by your sweet character, and your strong inner quality that has always been sources of inspiration to me, I can’t think of living a moment without you. I want to be the love of your life forever, I promise to take good care of you, will you marry me? The very first time I set my eye on you, I know you were the one I have been waiting for, true to my thought, you have always been an amazing girl ever since the time you came into my life. Please give me chance to love and care for you forever, will you marry me? The best that I could do for you in this life is to be your best man, your superman and your hero. You deserve the best, and I’m here to give you all the love of my heart, I’m in your life for good, so sweetheart will you marry me? Dearest Sofia, I have discovered myself in you, you are the other mirror of my life, I want to spend all my life in your arms. I will be your sweet melody, will you marry me? If I get the keys to your heart, I will unlock it with love, I will feed it with love and I will nurture it with love, I will always love you, please marry me. You will never regret knowing me today, I want to be the Romeo of your life, I will make you feel all the comfort that your heart desires. Your happiness will be my happiness and your sadness will be my sadness, everything you feel I will feel with you, we are two hearts in one, will you be my lifetime wife? I don’t want to wait for you forever, I want us to start our journey of blissful life together right now, I promise you so many things, I want to fulfill all my promises to you, will be my wife. Dearest let me tell you how I feel about you, I feel joy when I’m with you, my happiness increase just when I hear you speak, I think my life depends on you, and loving you and caring for you is undisputed, I will be by your side forever. Will you marry me? 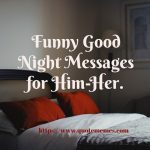 I am happy to let you that you are the most adorable woman in the world, I will be your sweet dreams when you close your eyes in the night and I will be your sweet melody when you open your eyes in the morning. I will always be there for you, I love you so much and I want to spend the rest of my life with you, will you marry me? A first glance at your face on that fateful day that I first saw you, I knew that something like this would happen. It was love at first sight, I love you the very first day I saw you and it wasn’t an infatuation it was true love. I want to be the crown on your head at all time, will you be my wife? The best place for me in this world is your heart, that is where I called true home because there is no home without you in it, I love you. There is no world without you, you are my world, will you marry me? 84. My love, my angel. My happiness, my everything. You have brought joy to my life for only a few times that I met you. I want you to give me the opportunity to have all these amazing moments with forever. Will you marry me? 86. A single second of laughter with you is like happiness forever. It is something I have always dreamt of, a woman I have always dreamt of. You have given me the reason to keep believing in the possibility of everything. Take my hand so I can slide a ring into your finger. I love you forever and beyond. 87. There can be no other woman to give me this kind of happiness. I love you to the last strength of my body. I always want to be with you and I want that dream to be a reality. Marry me, girl, I want to be happy forever with you by my side. 88. I never thought I would fall in love with a woman so cute and lovely like you. You are a clear example of a dream girl and I’m willing with every breath in my body to make our relationship permanent. 89. I value and I cherish you and there is a feeling in my heart that keeps telling me that you are simply the one. I love you so much and I want to always be with you. Marry me and I will take you on a lovely adventure. 90. To the most important person in my world. Take my hand as today is the day I want to give you my heart forever. With you, life is simply better and I just can’t stop loving you. 91. There is a place in my heart meant for only one. The one who has blessed my life with so much joy and glad tidings. The only one capable of completing me and giving me the strength to face any life challenges. 92. If I was to begin listing all the reasons to keep you as my only queen and number one partner, I would never be able to finish counting. I want to grow old with you and see the world through your eyes. Say yes and we can go on a long and beautiful adventure. 93. I want you and you alone to be my wife forever. A woman so intelligent she that can be called a teacher. A woman so sweet that can be called a mother. Will you please marry me? 94. Think of a life filled with happiness and bliss. A life that proves that true love actually exists. I want to spend the rest of my life with you and you alone. If any other opportunity comes my way again, I’d still choose you. Accept me into your life and it will be the best thing that has ever happened to me. 95. Today is the happiest day of my life as I will be making a very special woman a part of my life. I will do anything to protect you and make you happy even if I have to go out of my way to do it. From this day onwards, I prefer not to ever leave your side. 96. 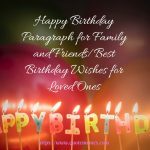 I wish for many happy years ahead and better opportunities to come. I wish for good tidings and endless happiness. I love you with all my heart, please marry me. 97. How about we make this beautiful relationship we keep a permanent one. Your face is the first thing I want to see every morning and the last before I rest my head to sleep. My angel, you are my everything. Will you marry me? 98. Loving you is more than just a feeling. When I look into your eyes, I see the most beautiful woman in the world. I want to spend the rest of my life with you, Will you marry me? 99. I am facing you today to tell you that I am willing to do anything to make you happy. I will always be there to protect you and be there for you whenever you need me. Accept my proposal and I’ll be yours forever. 100. Babe, I want you to be the woman of my dreams and the queen of my heart. I want you to be the mother of my kids and the love of my life. Marry me and let me believe that dreams can really become a reality. 101. I love the way you have made me smile throughout these years that I have known you. You give me much care and affection. Knowing you is such an amazing experience. I love you, babe, will you marry me? 102. You have successfully made the world a better place for me. What more can I ask for when I have been gifted a perfect woman like you. I want you to accept me and make my dreams a reality. 103. I used to think true love was just an illusion until I met you; I just want to be with you forever. Please marry me, babe. 104. It’s an amazing experience knowing you and I want to spend the rest of my existence with you. Take my hand and let us make this relationship a permanent one. 105. I can’t imagine a future without you. You are the only one who can bring me sunshine to my life. I promise to be canopy when rainfall. Marry me so we could be there for each other forever. 106. I chose you out of the many faces I’ve seen through my life. I want to be your happiness and your joy. I want to be with you always and be the father of your lovely children. I want to love you and you alone forever and ever. 107. It took me some time to make some decisions in life. However, it didn’t take me up to a second to decide that you are the one for me. It was all the same scenario the very first time I set my eyes on you. 28. What a time to be alive. A time to experience so much joy, laughter, and possibilities. You are like the rain that falls in the desert and give life to the vegetation. Marry me babe, so I can have the opportunity to love you forever. 108. Dearest, I love you with all my heart and I chose to spend the rest of my life with you. Marry or how can you refuse. 109. I want to make sure that you will always be happy and fulfilled. You are exactly what a man needs to build a home and that is how important this decision means to me. I want you to accept my love and I promise we’ll build a dynasty together because you are special to me.